Sail cargo vessels which utilize wind and solar for propulsion and chilled cargo spaces – within the shipping sector inclusive of Barbados, Trinidad, Guyana and the Windward Islands (OECS), addressing food security concerns and as a climate change mitigation initiative. Cargo support for green economy developments in the agriculture and agro-processing sectors. An enhanced and improved regional supply chain for fresh and perishable produce within the sector. Seamanship training programs with accreditation to IMO-STCW2010 and RYA Standards and tidal and non-tidal mile-building. 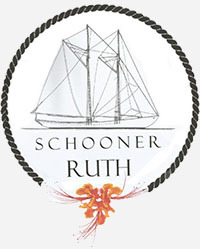 A traditional tall ships sailing and rig training program for young adults. Corporate teambuilding experiences at sea. Representation and distribution of high quality Barbados manufactured products within the sector. A Barbados Sailing Ambassador program to be developed with select Barbadian manufacturers, distributors and organisations.